Colorful hand crochet potholders became a creative kitchen staple during the 1940’s and 1950’s. I think they used designs like this more for decoration than actual use. 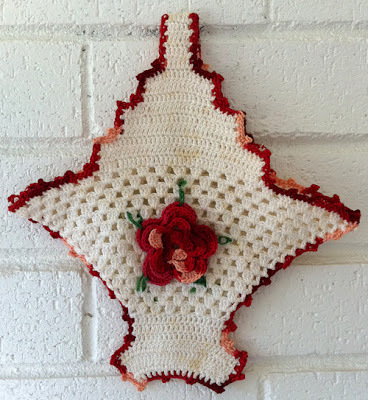 Now you can create this nostalgic looking potholder reminiscent of the ones our mothers and grandmothers used to make with this delightful Granny Basket Potholder Pattern. 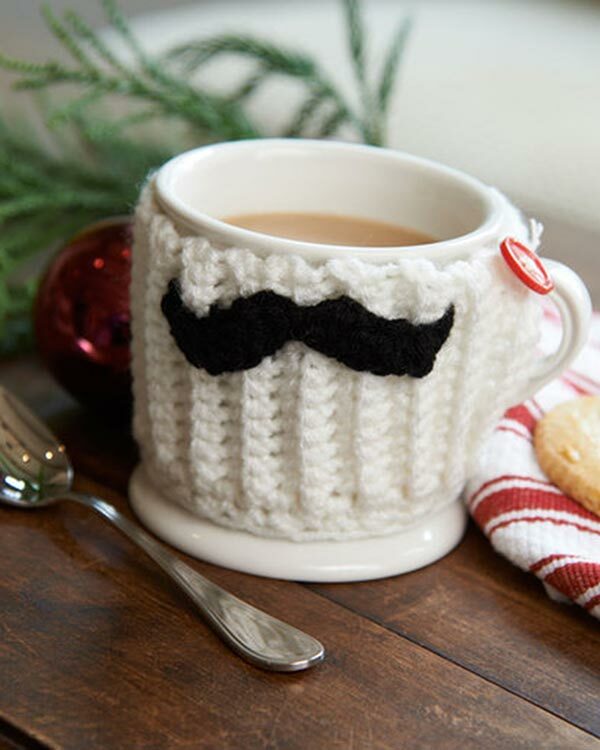 It is crocheted using crochet cotton thread. You may want to make 2 smaller circle potholders and copy the basket edging around the outer round. They could slip into the basket and would make a beautiful addition to the basket. Materials: Number 10 Crochet Thread: White & Variegated Reds, Small amount Green. Crochet Hook:Steel size 7 (1.65 mm) or size needed to obtain gauge. Shell: 3 dc in same st or sp.Picot: Ch 3, sl st in 3rd ch from hook. 1. Bring needle from back to front. 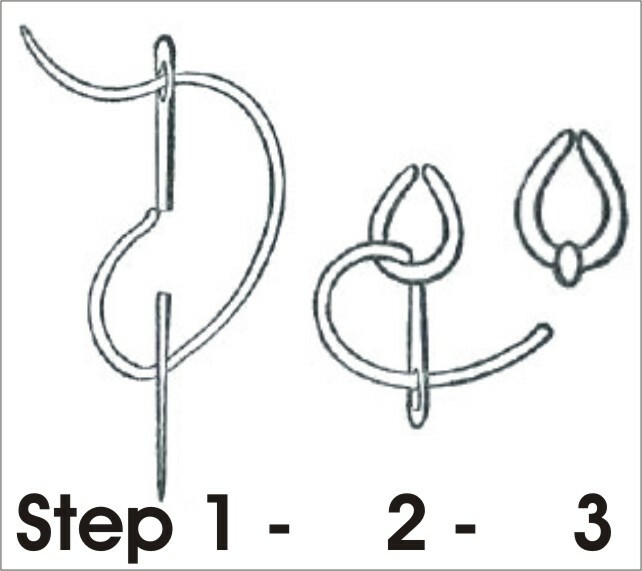 Form a loop with the thread and hold it with your thumb. Insert the needle from the front to the back, then bring it to the front so the thread is under the needle. 2. 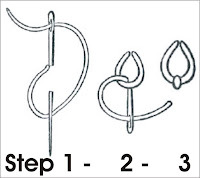 Insert needle from front to back at to make a small anchor stitch to hold the loop in place. Rnds 10-21: Ch 3, dc in same st as joining, (ch 1, Shell in next ch-1 sp) around, working (ch 1, Shell in center dc of side-shell, and ending, ch 1, dc in same st as joining; join. At the end of Rnd 21, finish off and weave in ends. Note: Front of Basket has one more Shell than back. (dc in next 3 dc, dc in next ch-1 sp) 9 times. (37 dc) Leave remaining sts unworked. Rows 2-3: Ch 3, turn, (dc in next dc) across. Row 4: Ch 1, turn, sl st in next 5 sts, ch 3, dc in next 26 sts. (27 dc) Leave remaining 5 dc unworked. Rows 5-6: Ch 3, turn, (dc in next dc) across. Row 7: Ch 1, turn, sl st in next 5 sts, ch 3, dc in next 16 sts. (17 dc) Leave remaining 5 dc unworked. Rows 8-9: Ch 3, turn, (dc in next dc) across. Row 10: Ch 1, turn, sl st in next 5 sts, ch 3, dc in next 6 sts. (7 dc) Leave remaining 5 dc unworked. Row 11-14: Ch 3, turn, (dc in next dc) across. At the end of Row 14, finish off and weave in ends. Rows 2-14: Rep Rows 2-14 of Front Side. – Sew Row 14 of Front and Row 14 of Back together to form Handle. ch-1 sp; join with sl st to first sc. DO NOT FINISH OFF. Row 1: Working down side rows of basket, over post of center dc of side shells, ch 1, (sc over post of next 2 rows, picot) twice, (sc over post of next 3 rows, picot) 3 times, (sc over post of next 2 rows, picot) twice, working in unused sts of Rnd 5 through both thicknesses, sc in next 5 dc, picot, working down side rows over posts, (sc over post of next 2 rows, picot) twice, working along foundation ch between sts, (sc in next 5 sts, picot) 3 times, working up side rows over turning ch-3, (sc over post of next 2 rows, picot) twice, working in unused sts of Rnd 5 through both thicknesses, sc in next 5 dc, picot, working in sides of rows over turning ch-3, (sc over post of next 2 rows, picot) twice, (sc over post of next 3 rows, picot) 3 times, (sc over post of next 2 rows, picot) twice, sl st in top of turning ch. DO NOT FINISH OFF. sc in next ch-1 sp, (sc in next 3 dc, sc in next ch-1sp, picot) across, working in sides of rows, (2 sc in next 3 rows, picot, working in unused sts of Row, sc in next 5 dc, picot) 3 times, 2 sc in next 5 rows, sc in join, sc in next 5 rows, picot, (working in unused sts of Row, sc in next 5 dc, picot, 2 sc in next 3 rows, picot) 3 times, working in Rnd 21, (sc in next 3 dc, sc in next ch-1 sp, picot) across to last Shell, sc in next 3 dc, sc in next ch-1 sp; join with sl st to first sc. Finish off and weave in ends. Rnd 2: (Ch 6, skip 3 dc, sl st in next dc) 5 times. Rnd 4: Working behind petals, (ch 8, sl st between petals) around. Rnd 6: Working behind petals, (ch 10, sl st between petals) around. Rnd 7: * (Sc, 2 hdc, 6 dc, 2 hdc, sc) in next ch-6 lp, sl st in next sc; rep from * around. 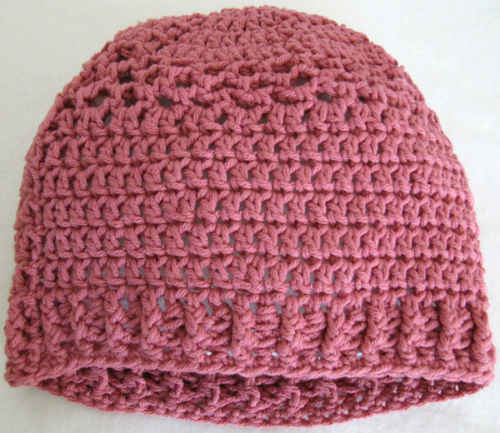 (5 petals) Finish off and weave in ends. – With right side of Front of Basket facing, position Flower in center. – Using Green thread, embroider Flower to Front of Basket using Lazy Daisy stitches starting from center of each petal. Have you tried printing it now with the new website?